As per Veerashaivism, jangama is a wandering monk who preaches morality and religion. Today, many of them have abandoned the nomadic lifestyle and have settled as priests of their respective community. He lives on alms obtained through charity. As per Viragama, a jangama is one who is free from worldly attachments, burdens, restrictions, limitations, sensuality and impurities. 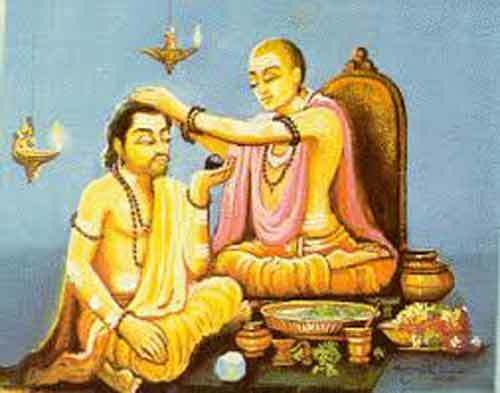 Depending on their mode of living and religious order, Veerashaivism makes a distinction of jangama. They are categorized into commoner, the special one and wandering monk. A samanya or commoner is a householder and he is settled in a particular place. A Vishesha or the special one is an unmarried monk who conducts religious ceremonies and heads a mutt. He is also known as pattadadevaru. A wandering monk with no attachment is referred as Virakta. The mode of living has nothing to do with philosophical and religious goal. They are the same for the three groups. In fact, Veerashaivism assures that a householder to can attain the same goal as the wandering monk. The followers of Veerashaivism place complete faith in the holiness of jangama. A jangama is expected to live a chaste and spiritual life. Morality is to be upheld by the jangama. As per Veerashaivism, there is no difference between the Shivling and jangama as they are both equally worthy of same devotion and veneration. Any object touched by jangama is considered as holy and it is revered by a Virashaivite as prasada.